Policymakers around the world face important choices about which types of interregional transport infrastructure to build and how to prioritise public spending needs. Finite budgets mean that governments often have to choose between building large-scale infrastructure and expanding public service delivery. Effective policy decisions depend on understanding how various types of transport infrastructure impact the growth of cities and regions. The massive transport infrastructure investments occurring in many developing countries today are highly durable and will shape cities and regions for decades to come. Infrastructure determines not only cities’ trading interactions with each other and foreign markets, but can also shape the capacity of governments to manage rising rates of internal migration into cities. Indeed, by 2020 over half of the population of developing countries will live in urban areas (UN DESA 2014), many in urban slums, and this fraction is only expected to increase going forward. In a recent paper, we examine these questions in the context of China, which constructed an extensive modern road network, including a national system of limited access highways, between 1990 and 2010 (Baum-Snow et al. 2016). The Chinese experience is particularly useful for research purposes. China is a rapidly urbanising country that releases comprehensive, and relatively high quality, regional data. 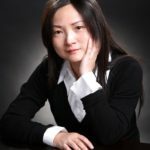 Considerable variation across cities and regions, in the extent and configuration of their road networks, and the unique institutional history of the Chinese economy, helps us to produce credible estimates of causal relationships between roads and outcomes of interest. We study the causal effects of road infrastructure within 450 km of prefecture cities and access to international ports on: GDP, population, and GDP per capita in Chinese prefectures. The investigation faces two main challenges. First, road placement is typically not random. Highways are more likely to be allocated to locations based on their actual or potential productivity and attractiveness as places to live. We address non-random allocation of roads across prefectures by utilising historical road networks as a source of quasi-random variation. Because historical roads were only used for very local travel and the movement of agricultural goods, they provide a useful source of variation in modern highway infrastructure after accounting for differences in prefecture agricultural productivity, types of land endowments and historical population. Second, the economic output of a region naturally depends on output in other regions, due to trade and migration linkages. Given this, we cannot perfectly randomise regions into treatment and control groups. The regression framework used for our empirical analysis estimates the relative gains or losses to one city that result from a marginal change in its regional highway allocation, relative to other locations. This limits our ability to estimate aggregate growth effects from road placement. Unsurprisingly, we cannot find a viable control group for comparing `all of China’. While a model requires strong assumptions, models of economic geography provide a useful analysis of the effects of roads on national output and estimates of welfare consequences. First, expanding the regional highway networks drives economic activity towards regionally important `primate’ cities. A 10% expansion in road length, within 450 km of a prefecture city, reduces the population in an average non-primate city by an estimated 1.6%, and increases the population in average primate city by 2.5%. Notably, the associated impacts on prefecture output, reflected in GDP, are similar, resulting in no discernable impact of regional highways on per-capita GDP in primate cities. We speculate that the effect of roads on primate cities in part reflects Chinese migration and capital market policies, but also captures an important complementarity between roads and output in these central locations. Better transport connections facilitate greater centralisation of production activities shifting activity from hinterlands into regional centres. We note that while primate prefectures are larger than average, our primate city definition does not simply pick out the largest cities. That is, the primate city effect cannot be solely attributed to size. Second, highways’ facilitation of easier access to international ports promotes growth in GDP, population, and GDP per capita for all prefectures. A 10% reduction in travel time to an international port results in a 1.6%, 1%, and 0.5% increase in GDP, population, and GDP per capita, respectively. This suggests that better access to international markets has had a high return in China, where the policy environment has emphasised export-driven investments and growth. We compare these empirical results to quantitative estimates from a workhorse model based on Eaton and Kortum (2002), versions of which have been used to forecast effects of infrastructure policies. The impacts we find of roads on population flows across broad regions of the country are roughly consistent with the empirical evidence described above for non-primate prefectures. However, the model predicts no differential impacts for primate prefectures nor does it predict much of an effect of highways on exports, poorly matching results from the empirical work explained above. As a result, we find the model’s implication that the highway network improved real income in China by 5% not to be credible, especially since the model predicts most of this improvement to come through improved domestic integration, rather than improved access to external markets. The broad implication for policymakers looking to evaluate potential road construction policies is that research technique matters. The choice between quantitative modeling and a regression based research design turns out to be fundamental to determination of the true causal effects China’s national highway construction initiative. 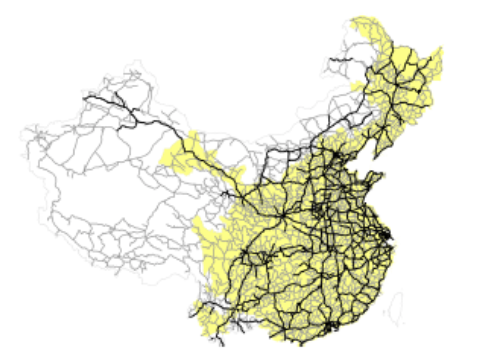 In all, the balance of evidence suggests that it is reasonable to rely on regression based results to understand the impact of highway construction on population relocation, but that neither the structural model nor the regression results are likely to give us a good understanding of how China’s new road network impacted national economic activity levels. This conclusion points to two things that will be needed for future research to make additional progress on this topic. First, high quality comprehensive regional and transport infrastructure data, gathered over time will allow researchers to exploit variation both across space and over time to recover causal relationships of interest. Second, new generations of structural models are needed to describe the facts we observe about China and incorporate additional causal channels beyond the workhorse models of today. 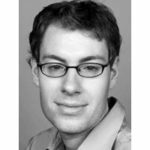 Editors' note: This column first appeared on the IGC blog in July 2016. Baum Snow, N, J V Henderson, M A Turner, Q Zhang and L Brandt (2016), “Highways, Market Access and Urban Growth in China”, SERC Discussion Paper No. 200. UN DESA (2014), 2014 Revision of World Urbanization Prospects.